Business professionals today have to deal with more forms of communication than ever before, which is why voicemail to email is such a wonderful feature. There is a constant stream of emails, faxes, text messages, phone calls and voicemails coming in, and you’re expected to keep up with all this information, make sense of it all, and to get back to these people in all these different locations. It’s easy to see how some business professionals can become overwhelmed with the task, and why some customers are being overlooked unintentionally. One simple solution to this problem is to combine different communication streams into one another with voicemail to email services. This makes it easier to see those messages and to respond to them. Most businesses are already doing this very thing with fax to email services, but far fewer are using a service to transfer voicemails over to an email account. These services allow you to listen to voicemails from within an email inbox just as you would on a phone, just more efficiently and in the same place that all your other business emails are coming in from. It’s easy to see some immediate benefits to such a solution right away, but there are more benefits to voicemail to email services than you might realize. Below we break down 6 of the most applicable benefits of voicemail to email and how they might benefit the everyday business professional. Once you pay for a service that’s designed to record and transfer your messages to email, using the service is surprisingly simple. The first step is to connect your voicemail inbox with the service provider. This is usually as simple as providing the voicemail inbox number and code. Follow the straightforward steps provided to connect your account and you’ll be ready to go. Once you have your voicemail connected to the service, you will be asked to provide an email for where the messages should be sent. You can have it sent to a private email address for personal viewing, or have it sent to a public business email for something like customer service management. As soon as the accounts are all linked up, your future voicemails will route over to the email address that you add to the service account. From there you can open up emails, click on the voicemail to listen to it, or immediately send it to other colleagues or store it away for listening later on. There are several very obvious benefits of a service that directs voicemails over to an email inbox, but there are some other not-so-obvious benefits as well. We’re going to explore all the potential benefits and help you figure out exactly what this sort of service can do for you. One huge benefit of voicemail to email for business users is how much easier the service makes it to spot that voicemails are there in the first place. Most business workers today rely heavily on email to communicate with customers. By sending voicemail to an email inbox it becomes another piece of communication going through the same stream that you’re already dealing with. Most business owners today realize how critical it is to provide quick customer care to new and existing customers. Customers expect to be helped promptly and they judge businesses based on how quickly they will hear back once they ask for help. By making it simpler to see new voicemails popping up, you’ll ensure that your business is quick and responsive to most customer needs that come in, that can only be good for business success. 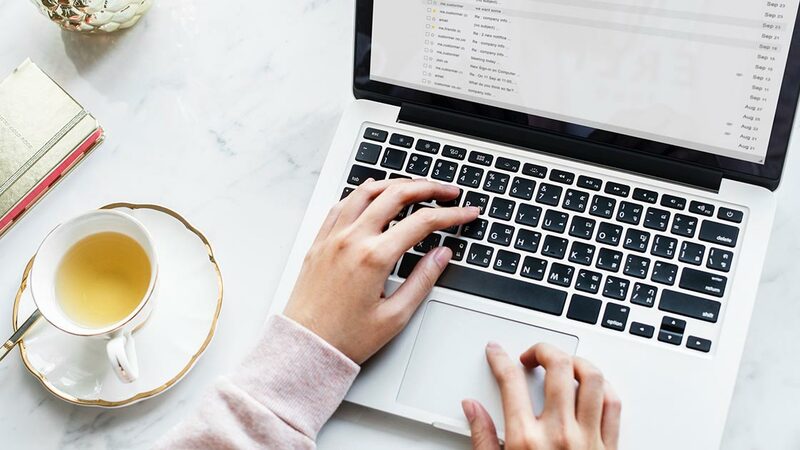 As a business owner checking your inbox throughout the day might seem like a standard practice or something that you’ve done from time to time. Even if you are used to this practice, that doesn’t make it efficient. Instead of watching for notification lights, or wasting time checking a voicemail inbox when it’s empty, voicemail to email takes away the need for any of these practices. When the voicemail comes in you’ll receive a notification just like you would for any other email message. This lets you know immediately that there’s something that requires your attention. Do away with another location to check throughout the day, and focus all your messages into one neat system with a voice mail transfer service and you’ll streamline your business practices and stay on top of those important customer needs as they come in so that you are gathering customer feedback and making the most of it. By sending voicemails over to an email inbox, you make them accessible in more locations. Most professionals today can access email on smartphones, tablets, computers and just about every other device that they have. Instead of being tied to listening to voicemails on the company phone system, or a business cell phone, you’ll be able to listen to them anywhere that you can receive email. A voicemail to email system is particularly beneficial when hiring remote workers because it makes it easier for them to offer their support from their location. When implemented properly, these systems also make it possible for multiple workers to handle messages entering the same inbox seamlessly. Workers can easily remove voicemails as they go, or file them away for safe keeping, and multiple workers can all keep on top of customer needs. For customer support purposes, being able to collaboratively handle incoming voicemails is just an efficient way of doing things. Assign multiple workers to handle incoming messages when business is hectic and make sure that customers are getting the help that the deserve sooner. By adding in this service along with a Live Chat solution you can meet the needs of significant more customers with a limited customer service workforce. Using a service that transfers voicemails to an email inbox are helpful for record keeping and organization as well. Often business users today must resort to taking notes, or making text entries into a system in order to record notes from voicemails received, but voicemails in an email inbox can actually be filed away and held onto in a neat and orderly way. Many businesses have email archive systems in place today, and voicemail emails can fit right into those systems neatly and seamlessly. You can even make multiple copies of your voicemail emails and distribute them to different locations for record keeping or for keeping other members of the team caught up. Once you have a message stored in an email, it immediately becomes more flexible, useful and easier to track. There are more than enough valid reasons that make it clear businesses can really benefit by transferring voicemail messages over to email inboxes. This service isn’t particularly new or difficult to implement, but it’s one of the biggest upgrades you can make to your current business setup. You can improve your customer service efficiency, help cut down on response times with customers and make everyone a whole lot happier and the systems are simple and affordable to implement, so there’s really no reason not to. Traveler, cat mom, and Nextiva’s Customer Success Marketing Manager, Staci enjoys napping, watching Parks and Rec again, and searching for the best mac and cheese around. PRI vs SIP – Which Is Right for Your Business?